Princesses love jeans and they want to get a pair of cool ones. Help them to customize jeans! 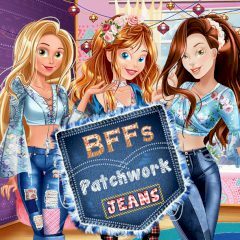 Princesses enjoy patchwork jeans and they come up with a great idea. They send different pieces to each other to make similar jeans. Help them and have fun!